The Giant panda seems as elusive in art as it has been in nature. In early Chinese Art, bears not Panda bears were carved into jade. 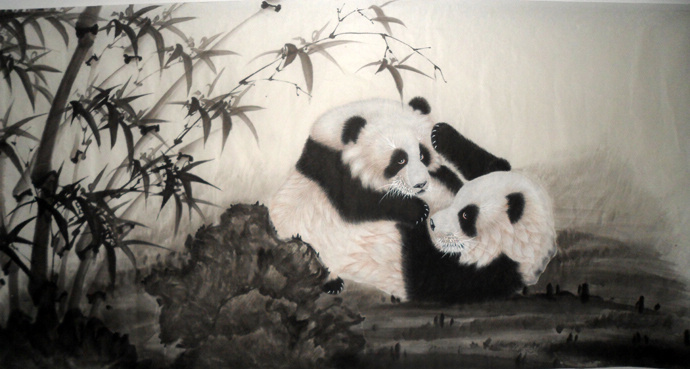 However, the mountains where the pandas live have been well represented in Chinese paintings. The traditional Chinese landscapes known as "shan-shui", or mountains/water is one of the most enduring subjects of Chinese Art. Bamboo, the main diet of the Panda bear, has also been a main subject of artists throughout time. The artists now include the Panda bear in their paintings. Paintings of Giant pandas appeared only recently in Chinese art due to the excitement pandas generated among Westerners in this century. Like the inspirational quality of some earlier Chinese paintings the images of Giant Pandas in paintings may serve to educate and inspire others to value one of China's National Treasurers. 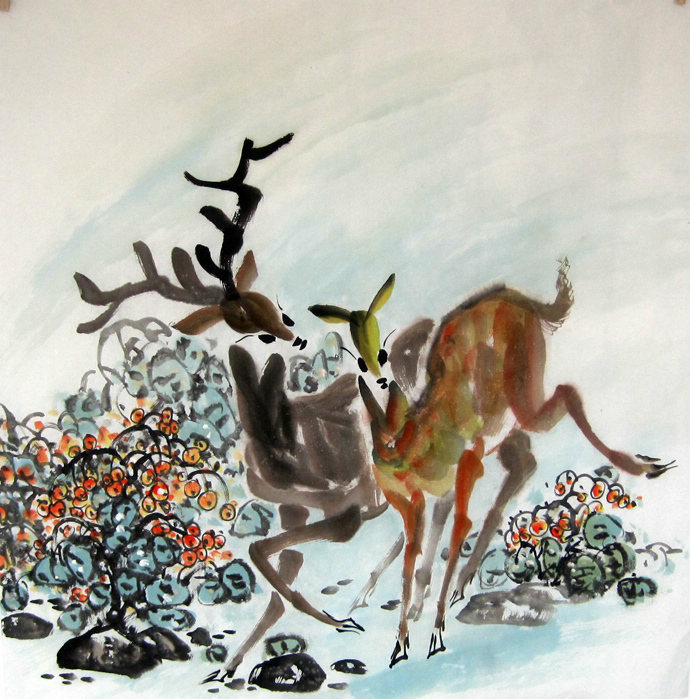 Chinese Deer Painting: Symbolize Long Life for giving blessing of longevity. In ancient China, people thought the deer is .. 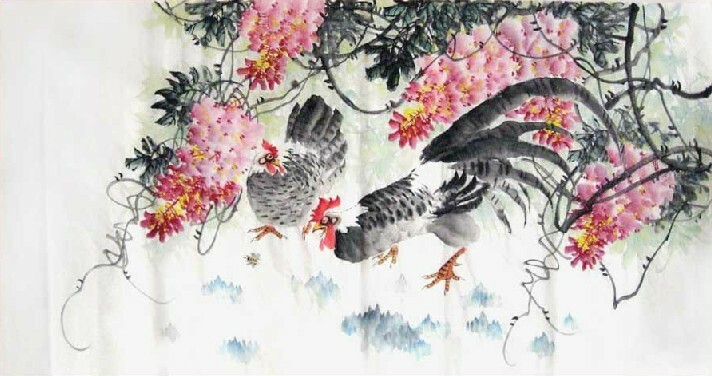 The Rooster or Chicken is the tenth of the twelve-year cycle of animals which appear in the "shengxiao", .. 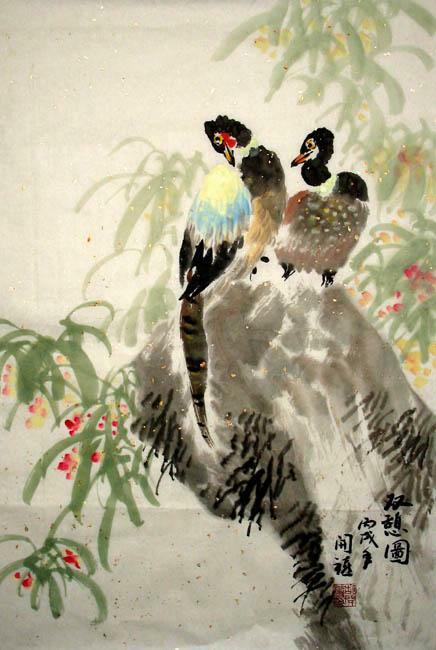 This entry was posted in Animal Paintings, Chinese Painting Animal, Chinese Paintings, ink paintings and tagged animals, chinese art, Chinese Paintings, panda, panda paintings. Bookmark the permalink.